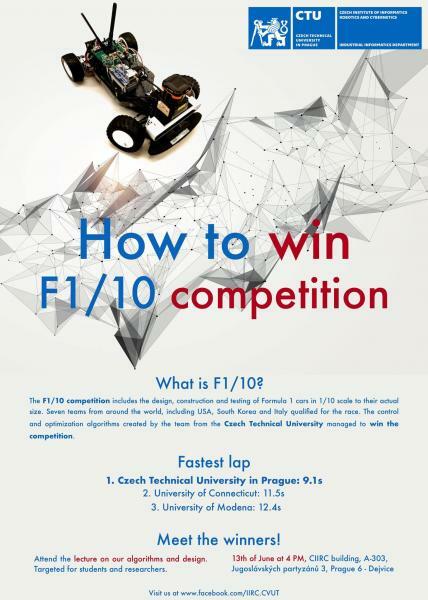 Are you curious about how to win the international competition of autonomous car F1/10? Our team won one in April, and we are about to reveal secrets of our autonomous car. Come on the 13th of June at 16:00 to room A-303 CIIRC building situated at Jugoslávských partyzánů 3.